In the UK our image of home is often associated with Victorian or Georgian ideals. Many suburban new build homes still mirror the pitched roofs and familiar windows of these times, and ‘period features’ are often a much sought-after aspect of the most urban of dwellings. Modern architectural movements, however, don’t seem to enjoy the same synergies with ‘homeliness’. 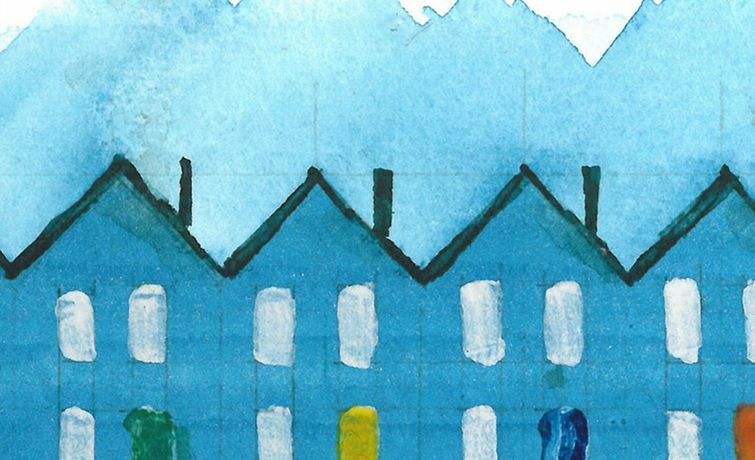 Curated by Torsten Schmiedeknecht, this exhibition looks at how modern architecture has been portrayed in children’s picture books since 1945 and explores the potential influence of illustrations and portrayals of home, the workplace and the public realm. As future architects, clients and users of buildings, what kind of architectural worlds and ideals are children exposed to in their formative years? What impact might this have on the architecture of the future?